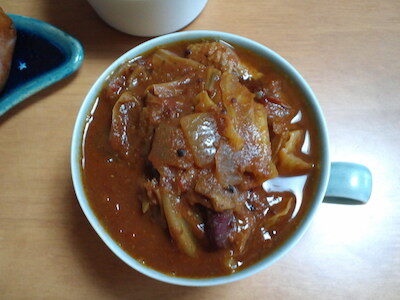 I ate vegetable chicken soupcurry made by my wife for breakfast. It was very good. I like it. Thank you so much.